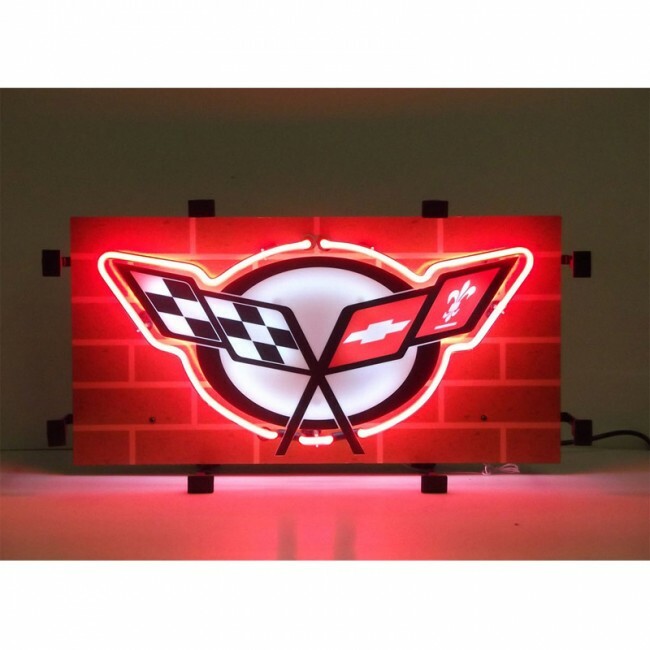 Corvette C5 Neon Sign features multi-colored, hand blown neon tubing with the C5 logo mounted on a decorative faux brick background. The entire neon sign is supported by a black metal grid. May be hung against a wall or window or adapted to sit on a shelf. Simply hang it up and plug it in – no assembly or special wiring required. Industrial strength transformer. (24”W x 14”H) Limited manufacturer’s warranty. 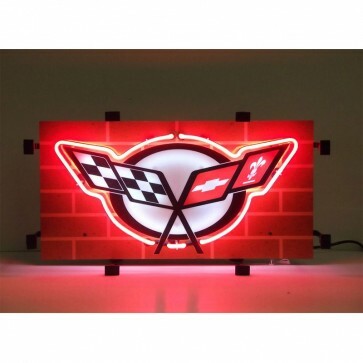 Stingray (Fish) Steel Sign | 18" x 6"
Crossed Flags Steel Sign | 40" x 27"
(Return Policy: Damaged or defective items must be reported within 3 days of receipt. All returns on non-defective items are subject to a 25% restocking fee and return shipping charges.) Please allow 10-14 business days for delivery. May only be shipped using Standard Shipping.